Animals need room to roam. Providing a connected network of habitats to allow for the safe movement of wildlife is called habitat connectivity. Wildlife are on the move in the Pacific Northwest. They make daily movements to find food and mates, seasonal migrations as conditions change, and generational shifts claiming new territory to call home. Habitat connectivity becomes even more important as the climate changes and animals move to adapt to a changing environment. 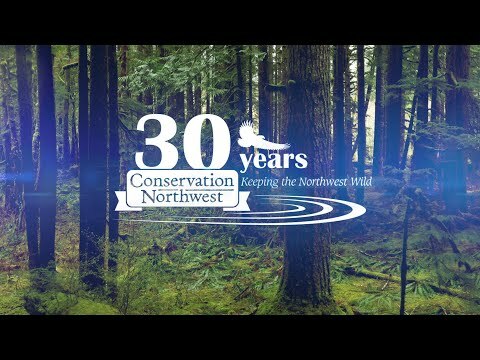 Restoring habitat connectivity has been a cornerstone of Conservation Northwest’s work since our founding in 1989. By focusing on connecting the big landscapes, we’ve successfully protected vital wildlife corridors and reconnected habitat between Washington’s North and South Cascades, from the British Columbia Coast and Chilcotin Ranges to the North Cascades, from the Cascades to the Kettle River Range and Greater Rocky Mountains, and more. We provide regional leadership on both sides of the U.S.-Canada border to protect the connection between habitat patches and even large landscapes. Learn about our programs connecting wildlife habitat at the links below!